Feb 13, 2019: Voxengo SPAN version 3.2 update is now available for download. 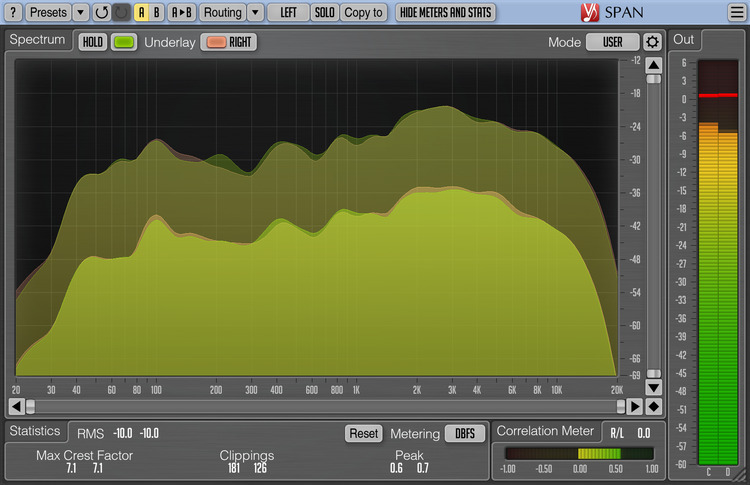 SPAN is a free real-time “fast Fourier transform” audio spectrum analyzer plugin for professional music and audio production applications. For the most part it was derived from Voxengo GlissEQ dynamic parametric equalizer and reproduces its spectrum analysis functionality. SPAN is available in AudioUnit, AAX, VST and VST3 plug-in formats (including native 64-bit support), for macOS, and Windows computers. Fixed display "notching" of high-resolution spectrum.